Cheap Cleaning Services is committed to providing top quality domestic and commercial cleaning services in London, Surrey and Nationwide. Our motto is ‘we can beat or match any cleaning quote’ and we stand by that. If you are looking for free price estimates for end of tenancy cleaning, carpet cleaning, move out cleaning, move in cleaning, pre or post end of lease cleaning, after builders cleaning then we are just a call away! We want to meet our clients’ cleaning needs at as reasonable a cost as possible. After all, everyone needs to watch the finances these days. We are very pleased to be able to offer all customers a free, no-obligation quote for a fully tailored, bespoke cleaning service for both residential and business premises. We handle specialist cleaning too, such as curtains, upholstery or medical settings, as well as laundry and ironing. All of these services start with our offer of a free quote. Call us on +44 7907 004090 or email us on hello@cleano.co.uk with your specific requirements. 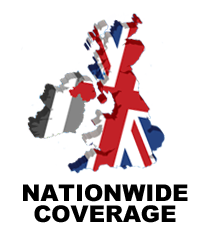 We will work out our costs and get back to you as soon as we can with a free, no obligation quote. Alternatively, you can contact us via our online form, or browse our price list for an idea of our general cleaning rates and charges.